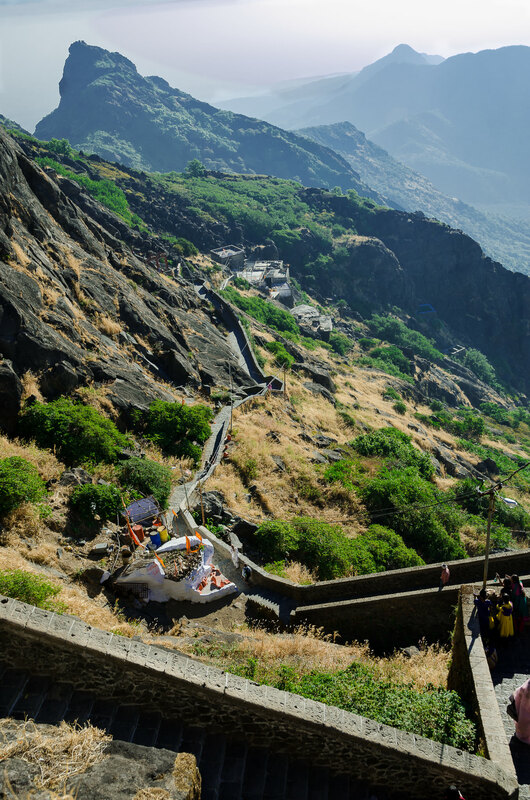 Directions: Girnar Hills is a congregation of several mountains situated in the Junagadh district of Gujarat. Junagadh is well connected by trains from all over Gujarat and the preferred routes are from Rajkot, Ahmedabad and Vadodara. I boarded from Dwaraka and reached Junagadh railway station around 4am (7hrs and 410kms). From the railway station, the trekking starting point is around 4-5 kms and can be reached by auto for a minimum fare. Girnar hills isn’t literally a trek (no camping grounds), but a climb of over 9999 steps carved into the mountain, which ends up at the summit that hosts a Hindu temple. On reaching the summit, you can see many mountains further but they are usually not scaled. 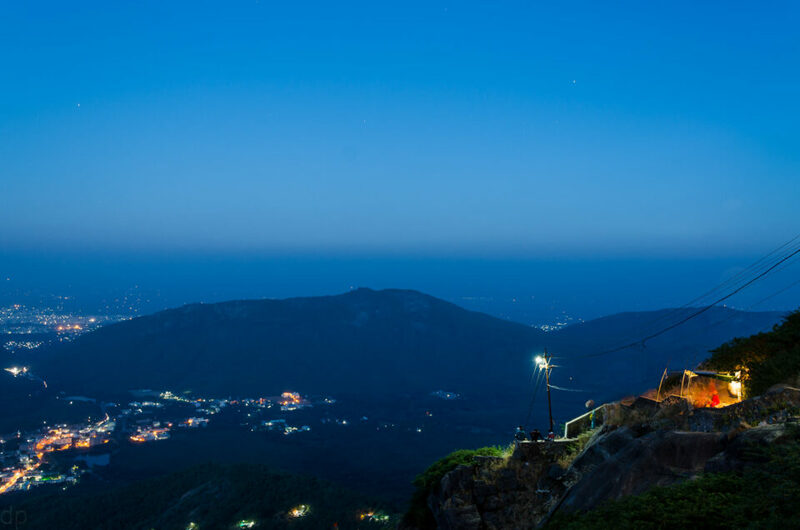 The entire trekking path is well lit and one can see travelers/piligrims climbing the mountain even at night. 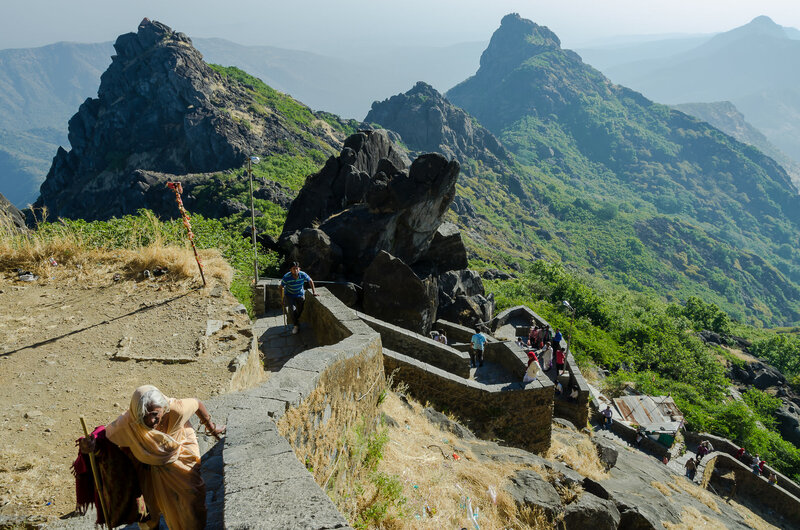 The path also has shops at regular intervals that cater to the needs of tired travelers.You can see the entire Junagadh city from 2000 steps and shoot some great pictures. 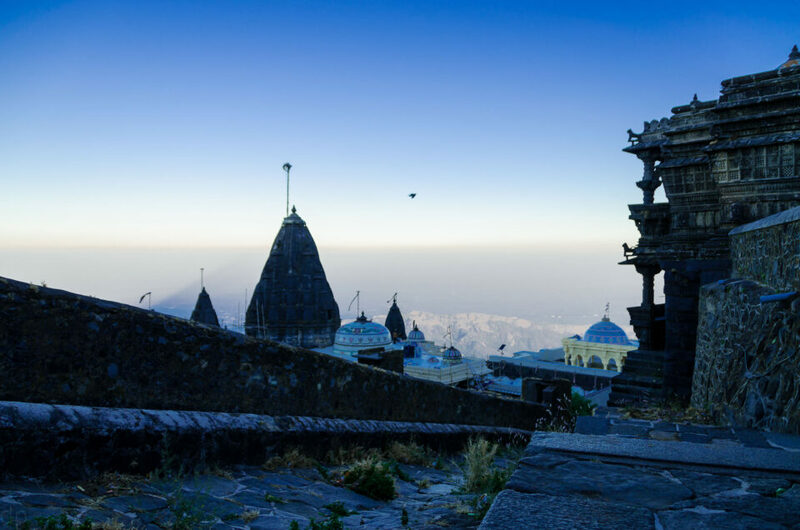 The first temple is situated at 5000 steps after which the difficulty level increases tremendously. En route, one can find many small temples and Jain temples with beautiful architecture. Difficulty level: Medium to TIRESOME. Ideal time to visit: Winter Season. November to January. Avoid summers. 1) Start early and return by 1pm. Avoid the afternoon sun. It is terribly hot up in the hills. 2) Carry at least 4ltrs of water. The price per litre of water doubles every 2000 steps. 3) Take short breaks when needed or simply just start shooting. All your weariness will wither away in the scenic mountains. 1) Carry a tripod. You can shoot the sleeping city in the wee hours of dawn. 2) WIDE angle lens! 18mm cannot contain all the mountains in a single frame. 3) Lighting is good at the base but expect harsh light at the summit and at noon. Do visit this place and carry home beautiful pictures and memories.